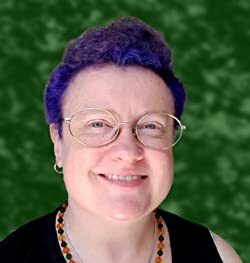 Savvy Wiccans learn to interweave their practice in the spare moments of daily life. Read and study during your lunch break. You can bring your e-reader or book wherever you go. If you’re uncomfortable about people seeing the cover of your paperback book, use some paper and make a simple cover. Study during your breaks during the day. Catching five minutes and ten minutes here and there can keep you on track to grow in the Craft. Take five minutes in the morning for the God and Goddess. Meditation is a great way to start the day. Communicating with the Gods and checking in with Them can keep you on your track for a closer bond with Them. It’s important to keep the lines of communication open with the Gods. Even a five-minute meditation session can make a real difference. When cooking, choose foods based on their magickal benefits. Many of us cook daily, anyway. 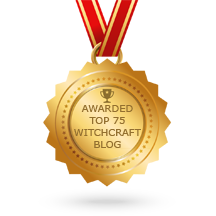 So, it’s a good idea to enhance your Wiccan practice with how you make good choices about the foods you eat. For example, if you’re looking for love, cook a meal using basil. Basil can be used for attracting wealth, too. Talk about a double-benefit! Need protection, try garlic. Make some garlic bread to go with pasta. Many Wiccans use garlic for healing, too. Consider adding garlic to chicken soup for a wonderful taste. This works well for healing from colds and flus. Create your own cooking style. Take a daily walk around trees. Even just a ten-minute walk can give you an experience of communing with nature and feeling the healing from the Gods. In summary, here is an example of how Laura incorporates Wiccan practice in her daily life. She wakes up 10 minutes early and gets in her 5-minute meditation. She walks in a park while listening to a Wiccan audio book during her break. She eats her “prosperity soup” during her lunchbreak. As we’ve discussed: There are numerous ways to weave your magickal life into your mundane one. What to do? Doesn’t it feel like the whole world has gone off the deep end? With people getting bombed to the political unrest in America, we now find ourselves in complete world chaos. I am sooo stressed that I have been eating things I shouldn’t. Even my immediate surroundings are inundated with drama. For example, some of my friends have broken up their lifelong friendships. Certain moments of the day, I feel torn apart. I need to be in three places at once: Helping my sweetheart … and … helping a friend with moving … and … helping another friend with a BIG project. Even my parents are having a difficult time. I admit it. My cheat days are too close together. I was on a great trend of dropping weight, but in the last two days I’ve fallen back and gained 3 pounds! So, when it feels like the world has fallen apart, what do we do? It’s time to turn to the God and Goddess for strength. It’s important to do some real self-care. Why? When you’re a mess, you don’t have the energy to be helpful to anyone else. It’s time to slow down, meditate and find your inner calmness. How do we do that? You can light some incense and play some pleasant calming music as a first step. Next, practice the process of grounding. Bring your awareness back into the quiet center in yourself. Concentrate on your breath and begin to meditate. Call upon the God and Goddess for the strength to not only endure, but, to thrive with peace in your heart and mind at this stressful time. Once you have done this, you may want to take a ritual bath. In this way you will shed the unhealthy energy from your body and spirit. Afterwards, eating something nutritious will also help you ground. Take your time and enjoy the process. Caring for yourself is a vital key to helping others. Find the peace that resides within you, and share such positive energy with other people. You can choose from an assortment of different oils to use in magick. 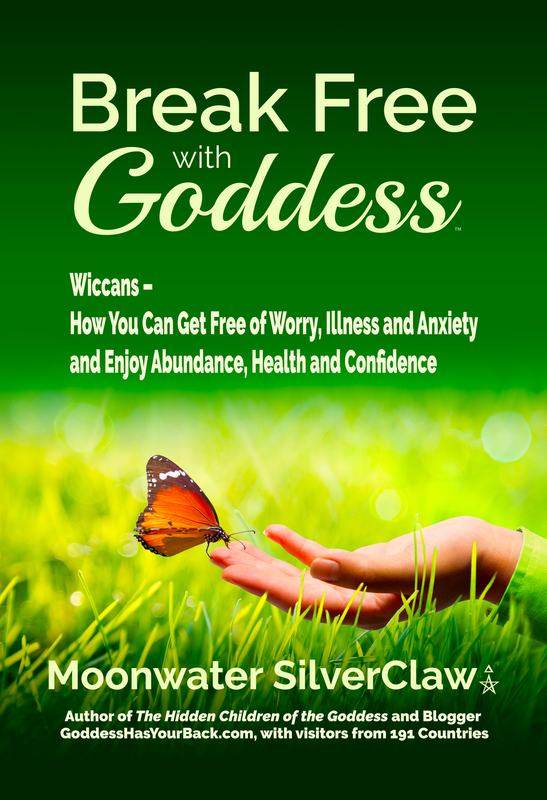 Wiccans use oils to anoint candles, sachets, talismans, amulets, crystals, and people. You can also wear oils like perfumes. An oil’s scent creates energy, which we use in our magick. Make sure that the oils you use are genuine and authentic essential oils—in other words, that they are made from the plants themselves. The plant’s oils carry the plant’s properties and energies that we use in our magick. Many distributors will slap on the label “essential oil” to make a buck, but many of these are synthetic scents, which do not carry a plant’s vital energies or properties. For this you need genuine oils that come directly from the plant itself. Undiluted oils can irritate your skin. So dilute them by adding them to a base oil. To do this, take 1/8 cup of a base oil such as Jojoba oil. Then, using an eye dropper, place around 9 drops of the undiluted essential oil into your base oil. Swirl in a clockwise direction to mix. Then you can use this mixture on the skin for anointing. To anoint the body, rub your diluted oil mixture on your wrists, neck, and sometimes behind the knees if desired. This will let your body absorb the energies of the oils. For people who have difficulties being around the smoke of incense, using magickal sprays may be a good solution. Sprays also help when one lives in a building with rules against the use of incense. Sprays are considered a new invention, and they are not part of traditional witchcraft. Up to now, I have not used sprays. 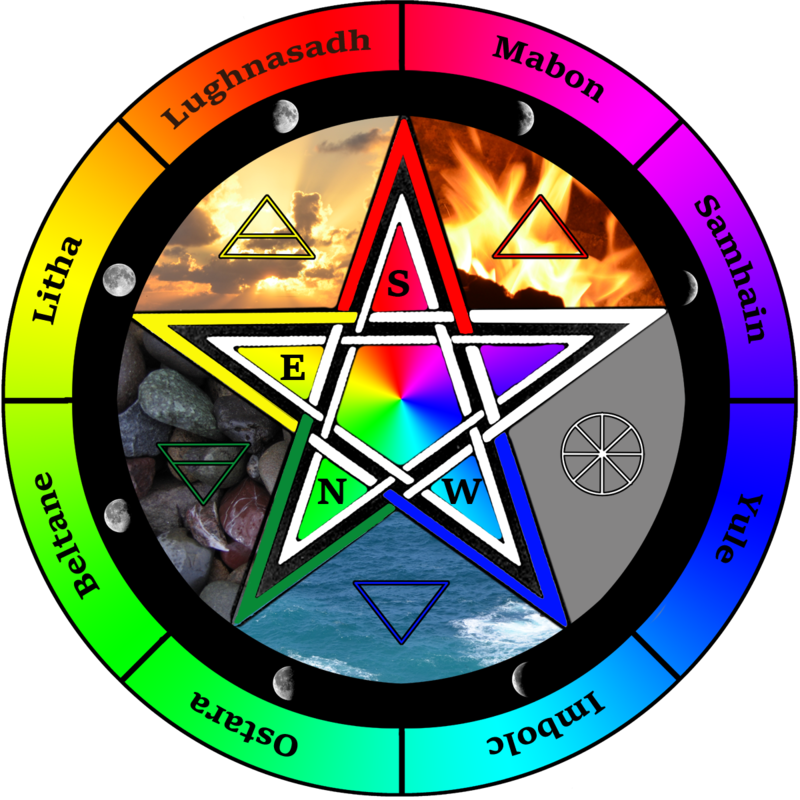 But when one of my readers asked about them, I took an interest and looked into what some Wiccans do. Use a glass spray bottle and avoid plastic because plastic can leach into your solution making it tainted. Dark colored glass bottles protect the oils within. Start with spring water or, if necessary, you can use distilled water. Pour water to fill your glass atomizer spray bottle up to its shoulder. Drop three or nine drops (or a combination of your oils) of each oil into your spray bottle. WARNING: Do not place stones or crystals in your bottles due to the fact that some type of harmful trace elements may be within such crystals or stones. (I learned this from a geologist.) Some trace elements can make you quite ill or worse. If you want to add the energies of stones to your spray, you can use this safe method: Nestle the bottle of finished magickal spray in a small basin filled with your chosen stone. If you only have one crystal or stone, you can fill the basin with water and set the item in the basin. Place the basin into the light of the full moon. WARNING: Make sure that your bottle is tightly sealed so that your contents are safely separated from the water contained in the basin. May your spells be enhanced.